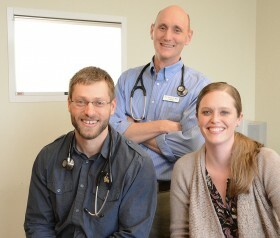 Dr. Amber Hutchinson was born and raised in Northern British Columbia, Canada where the Northern Lights shine bright. She attended University of Calgary for her undergraduate degree in zoology and obtained her DVM from University of Calgary in 2012. Prior to joining Upstate Veterinary Specialties in 2018, Amber lived all over Alberta, Canada; on the west coast of Vancouver Island; and in Arizona. From 2016 to 2018, Amber practiced at Southern Alberta Veterinary Emergency as the Medical Director/Director of Emergency Services. Prior to that, she practiced at Fish Creek 24 Hour Pet Hospital and Emergency Services where she was responsible for primary case management and emergency case management, as well as critical care, internal medicine, and primary and emergency surgical procedures. As a Professional Skills Teaching Coach, Amber trained both veterinarians and students from Canada and abroad as they pursued their veterinary careers. 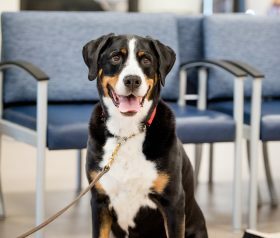 She has received multiple leadership awards including the Alberta Veterinary Medical Association Leadership Award and the Canadian Veterinary Medical Association Leadership Award. 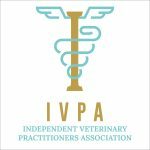 Amber is also a volunteer moderator with Not One More Vet, an online support group for veterinary well-being and is a member is IVECCS. Amber moved to upstate New York to enjoy the seasonal variation and the friendly people. She is an avid animal lover, especially pugs. She has two pugs of her own and two cats. Amber enjoys the outdoors and exploring with her furry friends.